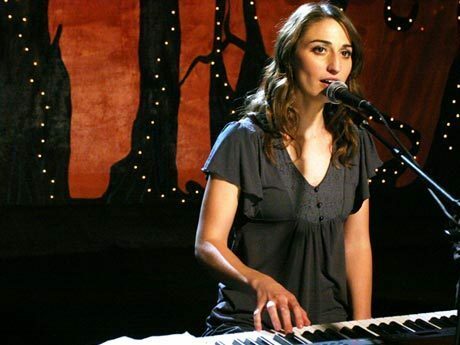 Sara Bareilles. . Wallpaper and background images in the Sara Bareilles club tagged: sara bareilles. This Sara Bareilles photo contains konser. There might also be gitaris, pemain gitar, pianis, piano, accompanyist, and pianis pengiring.